Biodiversity is one of Peru’s most essential features. There is so much life all around that country, especially in the wild. 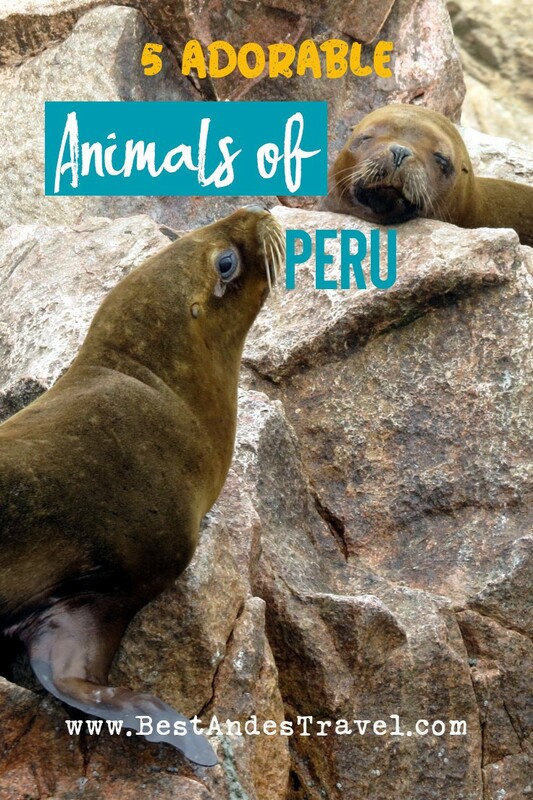 From sea life to land critters, Peru has it all, and the amount of species is so vast. Come with me on a journey where we can meet a few of these wonderful, exotic animals in their natural habitats. As a marine biologist, the South American Fur Seal is my must see animal. 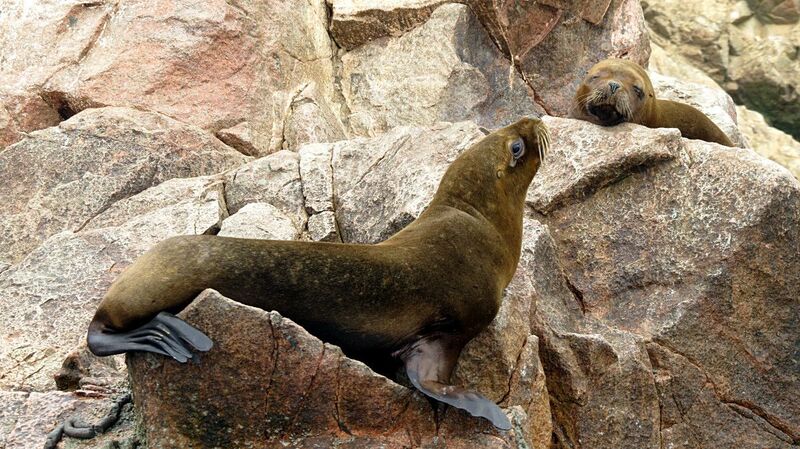 This cute and pudgy seal finds its breeding grounds on the coasts of Peru and many other South American countries. All of the seals are grayish in color, the males being entirely so whereas the females have a lighter gray or tan coloring. Like sea lions, they have external ear flaps and rotatable flippers to get around on land. But here’s a word of caution. They are wild animals which may see you as a threat if you get too close, and they can move on the beach much faster than you’d expect. If you see them, you can admire them, but please remember to keep your distance! The vicuña is another interesting mammal. It looks like it is the cross between a llama and a camel. This furry friend is the ancestor to the llama and alpaca, and it is also Peru’s national animal. Talk about impressive! They produce extremely fine wool in small amounts, and it is highly expensive. 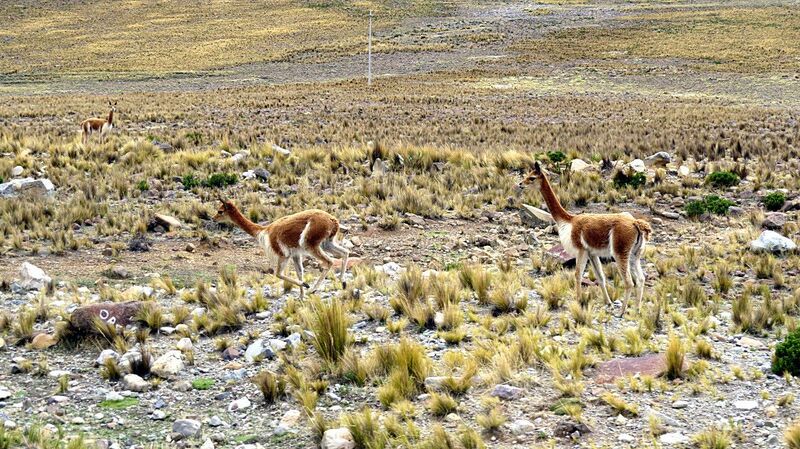 At one time, vicuña wool was reserved only for royalty. This soft and fuzzy critter is beautiful to see. This loveable little rodent are nocturnal creatures. Most likely, you won’t be seeing this one out in the wild. The reason this little guy is a night owl is due to the fact that their bodies can overheat. They need a cool, dry environment with low humidity. 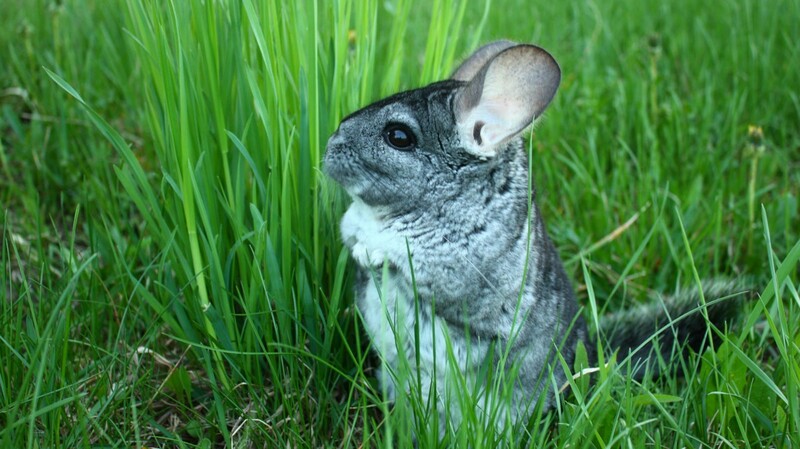 Chinchillas have the softest fur in the rodent family. Sadly, their population has decreased drastically over the years. The spectacled bear, often called the Andean short-faced bear, is a cute yet dangerous animal. It is largest carnivore of the land, though it is less belligerent than your average bear. They are a surprisingly peaceful bunch, though you won’t want to see what a mother bear will do to protect their cubs. Once again, keep your distance, but enjoy the furry sight. 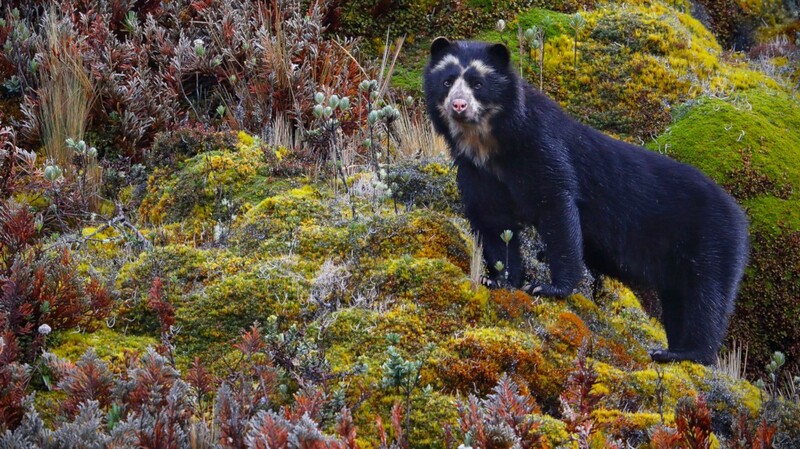 Suddenly you can find a spectacled bear in Machu Picchu, but you have to be very lucky. This cats are smaller than you would expect. 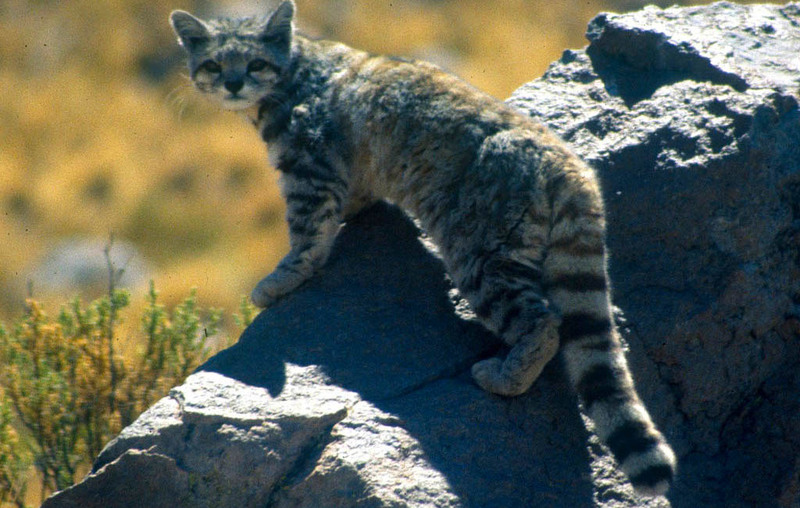 As their name states, they live in the mountains of Peru, though there have been some sightings in the Mendoza province of Argentina at lower altitudes. It is an endangered species due to the destruction of its habitat. Not very much is known about these kitties considering their antisocial nature. Still, if you visit the Andes Mountains, keep your eyes open for ashen gray fur. You might just spot one. These are but a few of the wildlife you may see in the Peruvian country, but there are so many other species you can’t even imagine. So, if you’re taking a trip to Peru, be sure to keep an eye out for those adorable animals. Just don’t get too close!